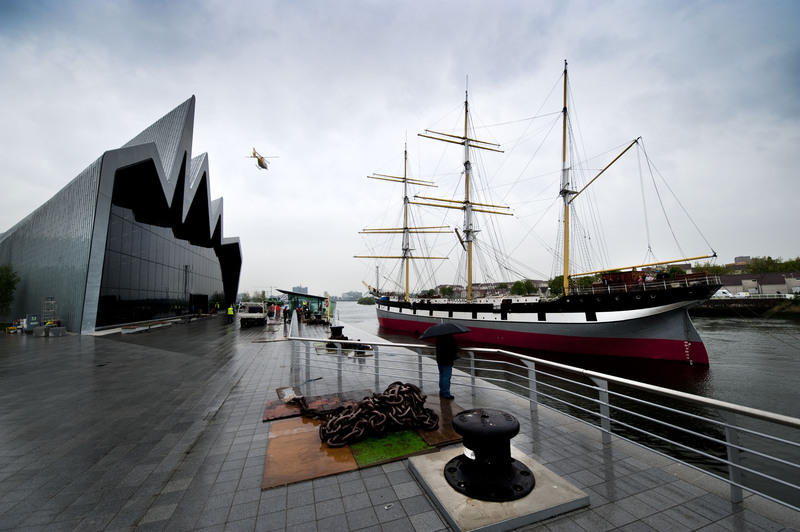 The Tall Ship Glenlee today moved downriver to her new berth at Glasgow’s new Riverside Museum. Three tugs moved Glenlee out from her former home at Yorkhill Quay this morning. After years of planning and preparation, it’s wonderful to finally see The Tall Ship and the Riverside Museum together! You can read about the move on the BBC and STV websites. Do you have a connection to the Titanic? Perhaps you or someone you know had a relative on board the tragic liner. Perhaps you’ve a connection to the ship’s construction, or to James Cameron’s famous film. If so, our friends at the Tall Ship Glenlee would love to hear from you. The Clyde Maritime Trust, owner of the Glenlee, is having a Titanic Reunion Lunch at 12noon on Monday 24th January, and would love anyone with a personal connection to the Titanic to contact them. The reunion lunch is part of an events programme to celebrate The Tall Ship’s current exhibition Titanic: Honour & Glory. The exhibition is the largest private collection of Titanic objects in Scotland and features a diverse range of stunning and very rare pieces from the Titanic and her sister ships, plus magnificent props and costumes from James Cameron’s 1997 movie Titanic, including a beautiful necklace worn by Kate Winslet in the film. The Titanic exhibition is on at The Tall Ship until 27th February, open daily 10am-4pm, Admission £3 (concs £2). The reunion lunch on 24th January will be followed at 2pm with a special talk by Titanic exhibition manager Sean Szmalc, who will unravel the gripping story of Titanic and her sister ships. The talk is free for those attending the reunion and £5 admission otherwise. To attend the reunion, please contact David Cowan at The Tall Ship with your Titanic story on 0141 222 2513, or email him. Many thanks to Riverside Museum Appeal supporter Ian Macleod for sending in this stunning picture of the Riverside Museum, taken on the south bank of the River Clyde at Govan. The soft wintery light gracing the Glasgow skyline makes for a beautiful photograph, while the warm hues belie the freezing temperatures! Just a wee bit upstream and to the right, you can see the Tall Ship Glenlee, which is in her current location for only a few more months. Come February, preparations will be made to haul anchor and move the ship downstream to her new berth outside the new museum. Now that’ll be a dramatic picture! The Riverside Museum Appeal has now raised £4million, and in these last few months of the project it’s making a final push to reach its £5m target. You can help by donating online at www.riversideappeal.org or, to make a £5 donation, text “Riverside” to 70700. All donations will be permanently recognised in the new museum – they make for great Christmas presents! The Tall Ship Glenlee is preparing to celebrate her reopening with a Christmas Fair. The Tall Ship will lower her gangways to the public this weekend, 27th and 28th of November, for the first time since her three-month renovation. It’ll be your first opportunity to see the renovated ship. The recent work includes a new education space, the expansion of the rear deckhouse and new toilet facilities. Visitors this weekend will also be able to take part in the Glenlee’s annual Christmas Gift Fair, with stalls selling Christmas gifts, hand-made cards and decorations, jewellery, ceramics, stocking fillers and luxury items. There’ll also be a special visit from Santa. The weekend event runs from 11am until 4pm, both days, and entry is free. The Glenlee will remain open until February 2011, when she’ll be prepared for her short move downstream to her new home outside the Riverside Musuem. Today two tugs towed the Tall Ship Glenlee down the River Clyde to Garvel dry dock in Greenock, where the 19th-century sailing vessel will undergo a three-week refurbishment. These photos show the Clyde-built barge leaving Yorkhill Quay and passing the Riverside Museum. This Wednesday will see a very special occasion – the Tall Ship Glenlee’s first time out of the River Clyde in more than a decade. Two tugs will tow the sailing vessel from her current location at Yorkhill Quay to Garvel Clyde dry dock in Greenock. They’ll set off about noon, pass the Riverside Museum about 1pm and are expected to reach Greenock about 5pm. The Tall Ship Glenlee at Yorkhill Quay. Image courtesy of Clyde Maritime Trust. 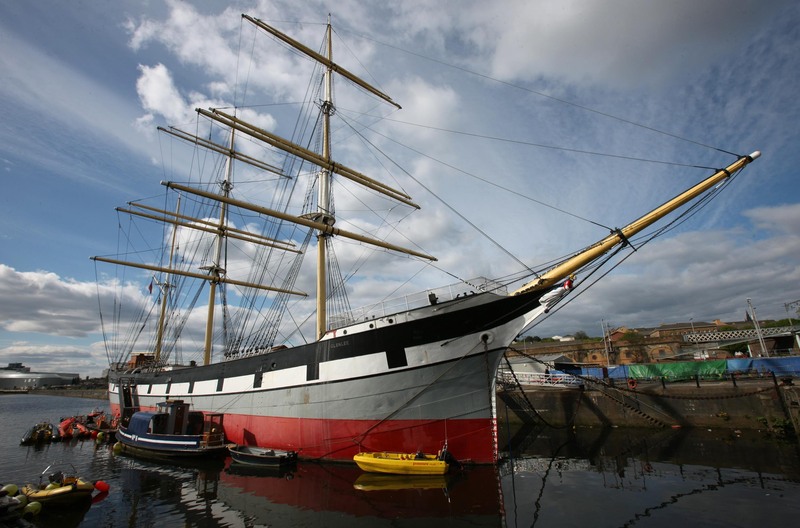 Glenlee is the only remaining Clyde-built sailing vessel afloat in the UK. 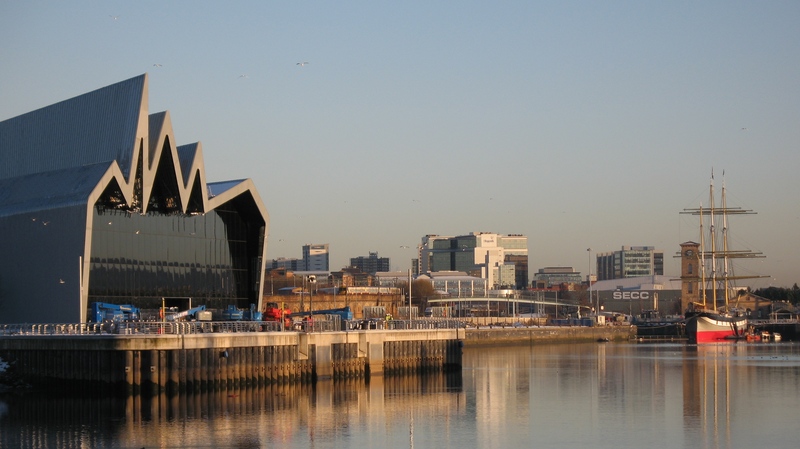 From next year, she’ll be berthed alongside the Riverside Museum, while the Clyde Maritime Trust, owners of the historic sailing vessel, will have their offices inside the Zaha Hadid-designed building. Glenlee’s move to dry dock is part of a £1.5 million refurbishment in preparation for her move to Pointhouse. While in dry dock, her hull will be cleaned, blasted and ultrasonically tested, and her rear deckhouse will be resized to be more in-keeping with the original design. Enter your email address to subscribe to the Riverside Museum blog and receive notifications of new posts by email.